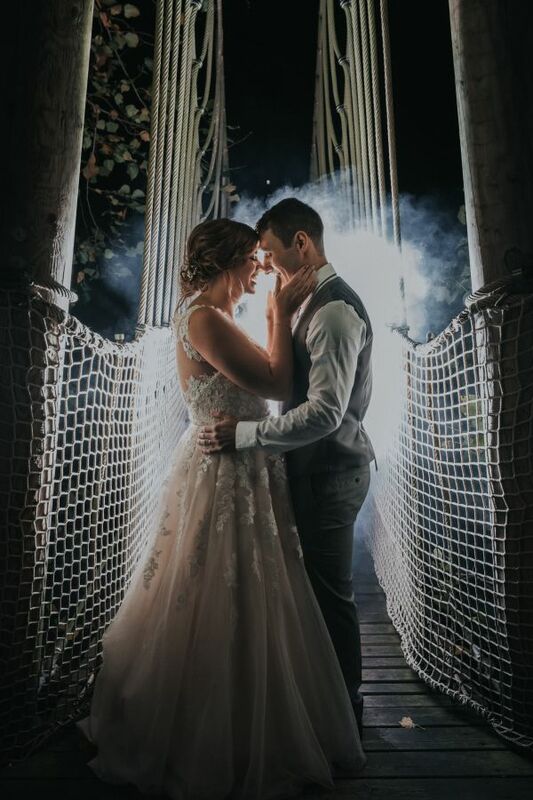 Nestled beneath our enchanting woodland canopy, The Treehouse Restaurant offers exclusive evening ceremonies complimented by delicious locally produced food, hand selected wines and decadent cocktails. Hosting ceremonies on the decking for up to 85 guests or intimate indoor ceremonies for 60 guests. 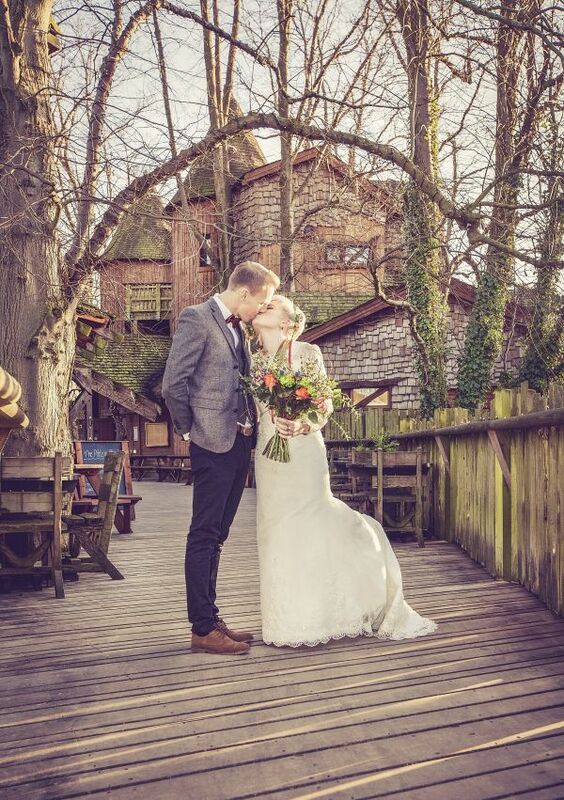 With a licence to hold marriages and civil partnerships, The Treehouse Restaurant is perfect for ceremonies as well as celebrations. The Treehouse Restaurant can be hired privately in all seasons for a fresh spring wedding surrounded by trees bursting into leaf, a relaxed summer wedding with dancing on the decking, a twilight autumn wedding amidst a cascade of falling leaves or a cosy indoor winter wedding wrapped in thousands of tiny lights and warmed by a roaring log fire. The private decking, bar facilities and aerial walkways provide intimate reception and entertainment areas, as well as picturesque settings for photographs.